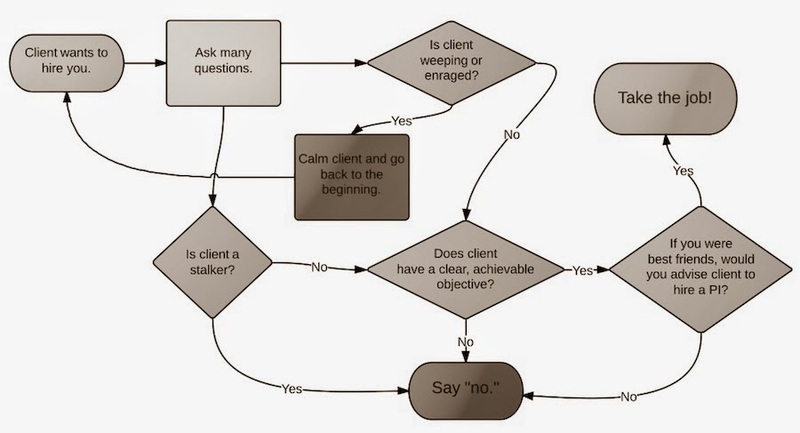 There is an excellent post over at Pursuit Magazine about how sometimes saying no to a potential client is what an ethical PI should do. There's even a nifty flow chart (see left). 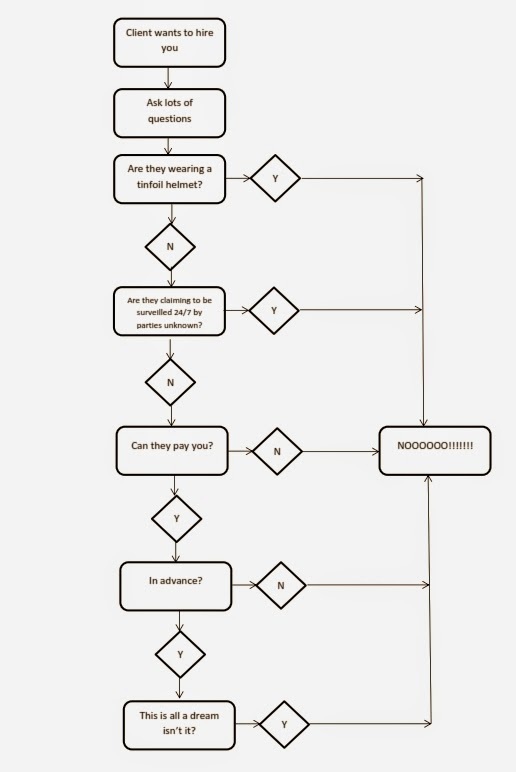 Naturally, this prompted me to create my own flow chart detailing the realities of the initial potential client meeting.